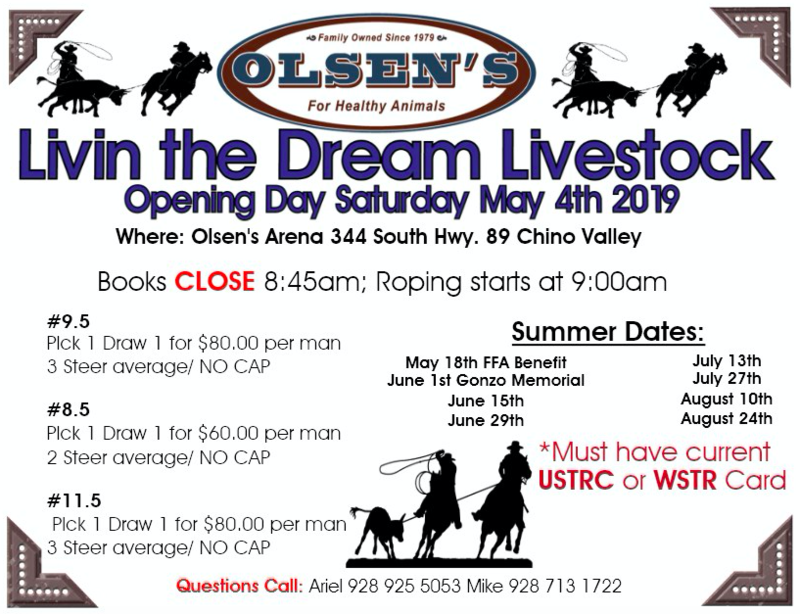 Get your horse and saddle ready for the 2019 Olsen’s Livin’ the Dream Livestock Roping Events. Join us at for OPENING DAY at Olsen’s Arena on Saturday, May 4th, 2019 for some good old Chino Valley roping events. 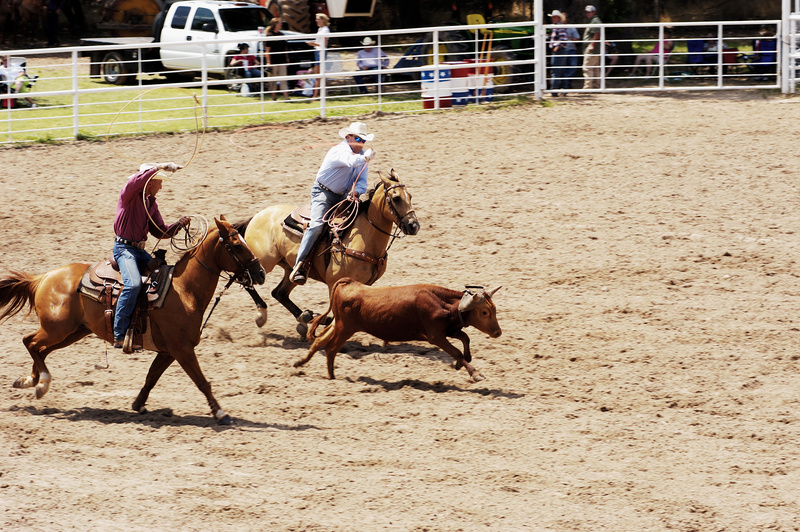 Books close at 8:45 am and roping starts at 9:00 am. All cattle provided by Livin the Dream Livestock LLC. Livin The Dream Livestock, LLC is a privately held company in Chino Valley, AZ and is a wholesale livestock dealer. For more information on these roping events, contact Mike Olsen at 928-713-1722 or Ariel Zambrano at 928-925-5053. Check out our new Livin’ the Dream Livestock LLC Facebook page here. For the full Olsen’s Arena Events schedule click here. This entry was posted on Thursday, April 11th, 2019 at 7:48 pm	and is filed under Events, Horse, News & Updates. You can follow any responses to this entry through the RSS 2.0 feed. Both comments and pings are currently closed.